Recently I was part of a lively discussion between both long-time and relatively new breeders who were discussing their experiences purchasing their first show cats. While their situations varied, almost without exception, they felt they had made some poor decisions when acquiring their first few show cats. The consensus was that they should have been much better informed before making that first purchase. More than one breeder thought they had been led astray by potential sellers. The cat fancy is filled with "horror" stories, both from the seller's and from the buyer's point of view. Obviously, the buyer-seller relationship is a two way street. Some parts of the journey the buyer has control of. Some parts of the journey the seller has control of. So . . . if you are the Buyer, what can you do to maximize your chances of making a kitten purchase that you will be pleased about? What can YOU do to find the best kitten for YOU? One of the best things any beginner in the cat fancy can do is EDUCATE themselves BEFORE making any cat purchase. How do you educate yourself? Attend Cat Shows: It is not enough just to go to the cat show. Purchase a catalogue, go to ringside and follow the judging of your breed. Sit in the front row. Don't be shy. Ask questions of the person sitting next to you (quietly and discreetly). Study The Cat Show Catalogue: Familiarize yourself with the way a show catalogue is laid out. Study the cats names, sires, dams, owners and cattery names so you become familiar with local breeders and their bloodlines. Talk with Breeders: Take the opportunity to introduce yourself to breeders, both at cat shows and by email. Make phone calls. Build a Reference Library: Purchase past year books from your registering organization —then study them. Purchase recommended books on cat breeding. Surf The Internet: Visit cattery websites. Study their cats looking for strengths and weakness. Develop your "eye" for a good cat. 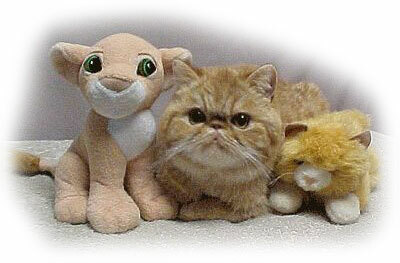 Study Pedigrees: Once you are familiar with various catteries, study the pedigrees behind their cats. Join PandEcats.com or ShowCatsOnline.com: These are informational and educational websites devoted to breeding and showing pedigreed cats. I know that research can be a daunting task when you are eager to just get a kitten and get started . . . but your patience and efforts will definitely pay off in the long run if you learn as much as you can so YOU can rely on your own INFORMED OPINION when choosing a show kitten. The more knowledge you acquire, the better chance you have of being pleased with your results when you go "kitten hunting". Have you ever seen the person who comes to the show with photos of a kitten they are considering buying? Do they then take the pictures of the kitten clutched in their hand, and proceed to go from exhibitor to exhibitor, showing them the photos and asking their opinion about whether or not to purchase the kitten pictured! Yikes! If you must have someone else's opinion, choose one or two knowledgeable and experienced breeders, whose opinion you value and whose honesty you can trust. Ask them to evaluate the kitten from the photos. Ask what they see as its strengths and as its faults. Use their evaluation to double check your own opinion - not as a substitute for it. When the time comes to look at kittens, my next suggestion is "Do not engage in wishful thinking". What do I mean by this? Look at the kitten. Now close your eyes and ask yourself if you will be happy with the kitten if it has the same looks as an adult — in other words, there will be no improvement. Do not start thinking, "Its ears are a bit big, but it will grow into them". Yes it might, but it also might not. Don't think, 'It has poor coat, but it will grow a better coat as an adult". Because it might or it might not. All kitten purchases have some element of a gamble about them. A kitten can change as it grows. The older the kitten is when you buy it, the more you know what it will eventually look like. Experience will help teach you to be skillful at being able to predict how a kitten will change over time, but especially if you are a novice, assume that what you see is what you will get. It may be tempting to take a nice kitten with a major fault or problem that "may" go away. Leave the "big gamble" purchase to the more experienced and sophisticated breeder. It is not a good way for a newcomer to start their breeding program. The third thing I suggest is "Consider The Source". Always ask the seller what they mean by the adjectives they are using to describe a kitten. If the breeder you are speaking to is offering you a top show kitten, yet that breeder has never granded a cat, you need to consider what they are basing the meaning of the phrase "top show" on when they use it. 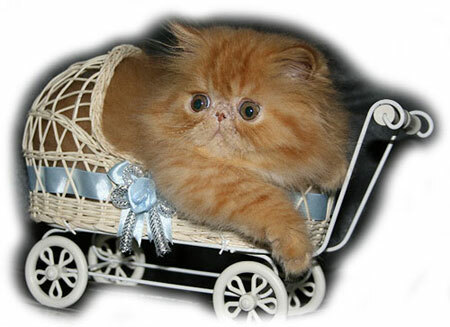 Once you have chosen a kitten for consideration, if possible, fly to visit the breeder and hand carry your kitten home. This allows you to meet the breeder, inspect their cattery, and handle the kitten. If it isn't what you thought it would be, then don't purchase it. Similarly, if the kitten is shipped to you and you are disappointed in the cat when you receive it, send it back immediately (again, no wishful thinking). 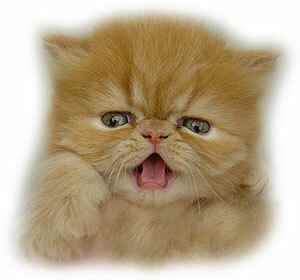 If you want a guarantee on the kitten, only purchase from breeders who offer a guarantee. And ask questions about what the guarantee includes and how it is handled if things go wrong. All guarantees are not created equal. If you do purchase from a breeder with no guarantee, then don't complain if you you have a problem and they don't do anything about it. YOU CHOSE to purchase the kitten knowing there was no guarantee. Accept the responsibility for your decision. If you accept the cat and it comes with a contract, respect that contract and abide by all its conditions. And finally, whether you are a novice or an experienced exhibitor, the final responsibility for purchasing a kitten is always YOURS. No one I know has ever held a gun to a buyer's head to force them to buy a kitten at any price. If YOU decide to purchase from a breeder for a certain price, then as a responsible adult, you should also accept the responsibility of your judgment. If there were things you were unhappy about with the "deal", then you should walk away. If you ignore Red Flags, don't complain afterwards if things don't turn out the way you wanted them to. Mistakes are part of the learning process. Because It takes two to make a cat sale, both the Buyer and the Seller must accept responsibility for their own decisions. Do your best to map out a safe and smooth journey for yourself in the hunt for the perfect kitten. Sometimes the trip is quick and smooth. Sometimes the journey is long and bumpy. Good Luck! May all your kitten purchases turn out better than you expected ;-).